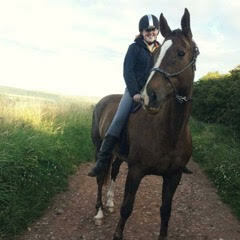 Today I am pleased to introduce you to Fiona, from the Scottish Rider blog. Fiona documents her progress working with her first horse and trying to achieve their competition goals without their own transport, something most of us horse owners know too well. 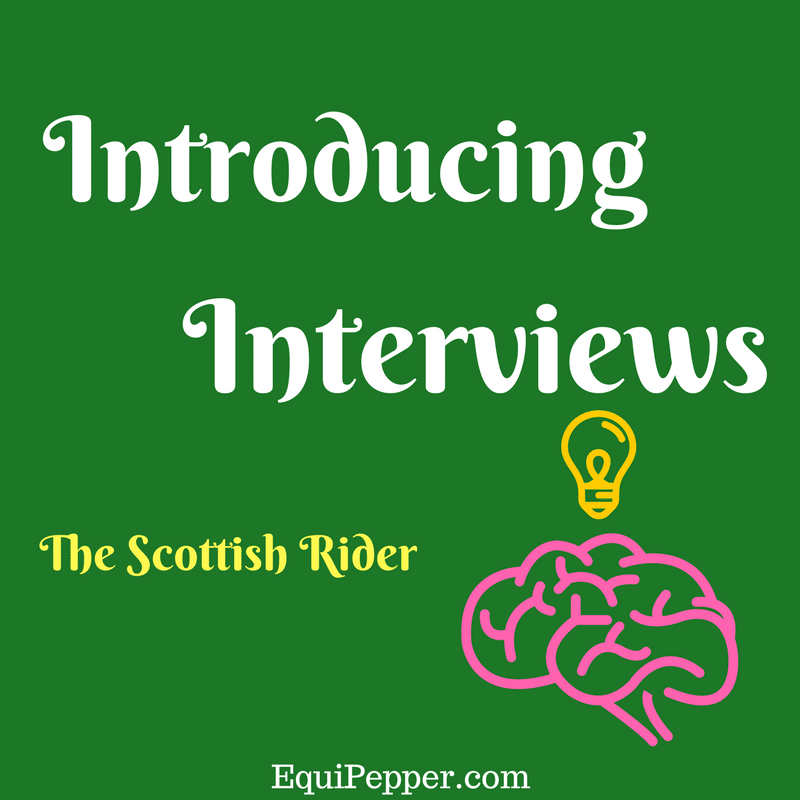 Alongside her progress updates she also writes informative posts drawing on her years of experience in the industry riding for other people. Reading about you on your blog, you seem to have had a similar start to horses as me. Not being in the position to have your own, you worked hard to be able to rider horses for other people and experience lots of different types of riding. Do you think that these experiences made you a better horse owner when you finally got your own? To be honest I think riding other peoples horses made me far more hesitant in the beginning as I knew there are so many different ways of doing things and how they can all work for different horses. There was a while were I was in disbelief that she was really mine and someone wasn’t going to tell me that they wanted this worked on or that corrected. It took a fair amount of time for me to really clock that she was mine, it was up to me to make decisions and my decisions were final. Having bought my mare it also made me realise that I really do like the challenging ones, I once broke in a young stallion recuse horse who had really no experience with humans and he was a breeze in comparison because he was the true definition of a blank slate – he actually went on to be ridden in the local Riding for Disabled centre – were as my mare already had experience with people and had decided for herself that we were not to be trusted. Before you got your own horse, what was your favourite discipline? Did you choose your horse with that discipline in mind? And is that what you are currently doing? Yes, eventing is my favourite discipline, I love the adrenaline of cross country and the horses are required to be so rounded to compete in eventing because of the different phases. Yet I have only ridden on a x-country course three times myself, the first was a training day, the second was a one day event on an “old pro” and the third was an inexperienced horse so I very much had to look after her on the way round. As desperate as I am to get back out on a cross country course, the opportunity hasn’t come up since or else I would of grabbed it with both hands! Unfortunately I don’t have my own transport so my mare is yet to go on a x-country course but I did buy her for this, she is a big hunter who loves her jumping and has a few gears on her to cover ground well. As my transport situation is pretty much non-exstient at the moment I decided to move her to a yard that holds competitions, therefore I can get working on her showjumping, dressage and arena eventing while I get myself sorted with a lorry licence which I hope to do next year. Tell us a bit about your horse? Eva is a 17.2hh Irish Sports chestnut mare, who missed the “humans are in charge” lesson or was very, very poorly taught it. I really don’t know much of what happened before I bought her, other than she moved to six different yards in the year before I bought her and one of those trips was from Ireland. I bought her as a six year old and she came with a white mark on her back from a saddle sore, so I knew a six year old with a scar from a saddle sore has not had the best of beginnings. A lot of my efforts have been focused in correcting her problems, but we have slowly gotten to the point where she can trust me, while she doesn’t enjoy human attention she keeps an eye on me to see if everything is ok, especially when people are touching her like Vets or physios e.c.t. She loves her jumping and is so honest about it that you really can trust her in front of a jump because if she has a problem about it she has told you all about it miles before the jump. She is a little on the inexperienced side with striding but even if the stride is wrong she will do her best to get us over – another reason I think she would be fantastic on a cross country course. Im really looking forward to the future with her as when she is working on your side she makes 1.15m feel like a small pop but I know she will always have me on my toes about something. Overall I can safely say she had well earned the nickname of Eva the Diva! It was something that I thought about doing for a while even planned posts out in my head and one day I just did it! Actually googled blogging platforms and wordpress was one of the first ones to pop up. I really enjoy web design and can code a fair bit myself – just something I picked up when I was younger – so blogging and having a site seemed to be the best way to go about it. What inspires your blog posts and what are your favourite things to write about? Our progress is what inspires me to blog I wanted to keep track of our progress especially at this new yard where we can really start to push forward with our work and blogging is a good medium to keep track. I feel like I am in a situation that a lot of people start out in. I am trying to progress in my career, be an ‘adult’, sit exams for work, some how scramble the funds together to pay for training my horse and try to keep some resemblance of a social life outside of horses at the same time. My favourite things to write about are my mares reactions to “injustices” that are placed upon her, she does not hide how she feels about anything! She’s the type that won’t be a little footy, she will act like she has lost a leg or if I needed to give her wormer she will stand facing the wall of the stable and sulk for some time after I have given it to her. But I also like having posts that encourage people start a discussion on how they would do something or approach a situation as there really is so many way of working for horses and everyone needs to find the way that works for them and their horse, as long as us humans listen and appreciate when the horse is telling us that something isn’t working. 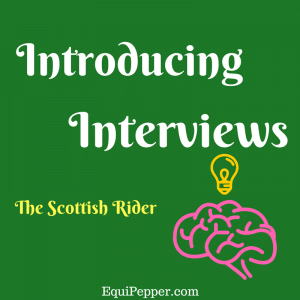 I hope you enjoyed learning a bit about the Scottish Rider. If you are interested in reading more, please do visit their blog.